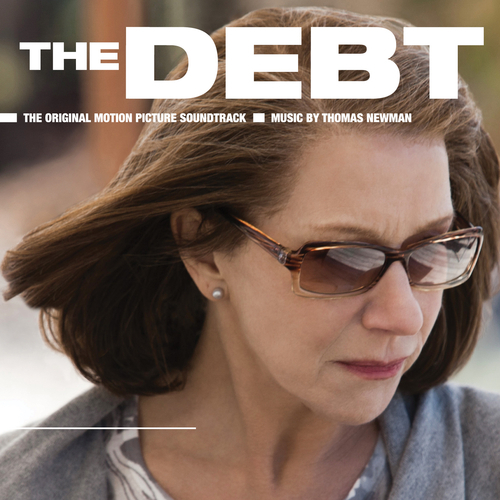 A Thomas Newman score to John Madden’s dark drama starring Sam Worthington, Helen Mirren and Tom Wilkinson. “The global stage of espionage is one Thomas Newman works to far more visceral effect in the equally excellent score and film to THE DEBT. It’s an action genre I’d love to see him get more of a workout in, and hopefully more chases and guns will be awaiting Newman given this film’s deserved Number One performance at the box office. Once again, Newman uses his state of the rhythmic art to electrify a history lesson – if a far more violent one here that reaches into the present. It’s a DEBT that’s paid forward with hyper-exciting percussion and entrancing atmospheres, all coalescing about as if trying to make sense of a murky past. And that’s right in tune for a trio of Mossad agents whose virtuous story about capturing a Nazi war criminal gets shattered, shard by anguished shard. While going with straight-on symphony or hard beats would be apt choices, it’s Newman’s power of not playing the obvious that makes THE DEBT into an unusually haunting spy score. While there’s more than a bit of gutsy orchestral pounding for Gynaecology-Fu and Cold War chases, Newman mostly draws on the funk-rock grunge aesthetic of scores like THE SALTON SEA and JARHEAD, as well as the hauntingly surreal grooves he gave to his other standout soundtrack this year with THE ADJUSTMENT BUREAU.